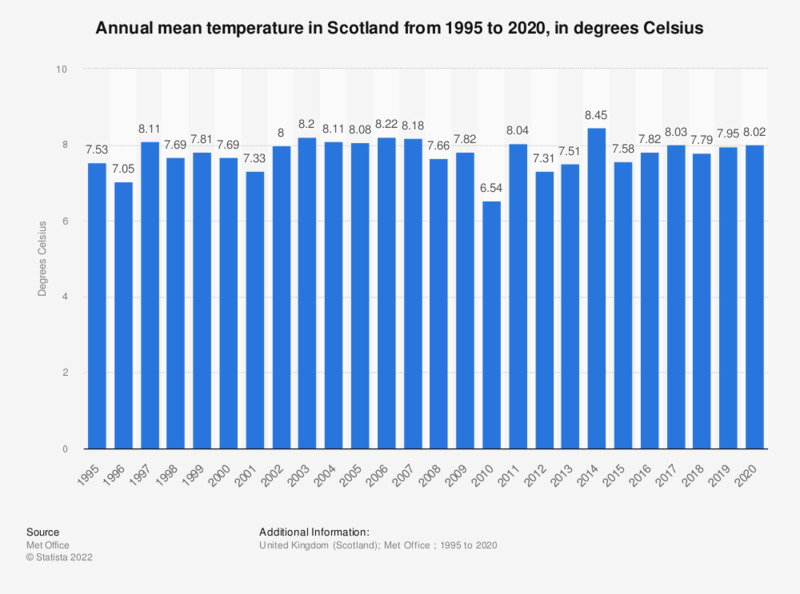 This statistic shows the average mean temperature in Scotland from 1995 to 2018. The coldest year was in 2010, when the average mean temperature was 6.5 degrees Celsius. 2014 surpassed 2003, 2006 and 2007 as the warmest year of the period, with an average of 8.5 degrees Celsius.